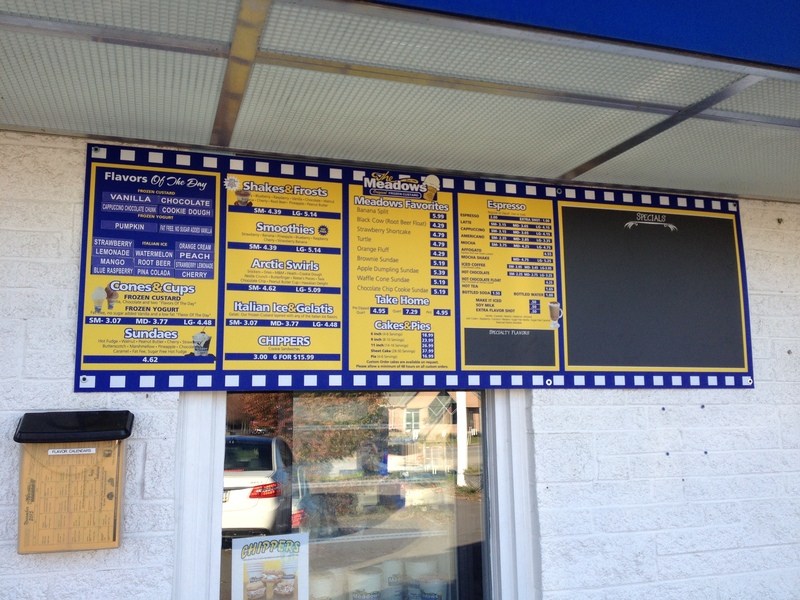 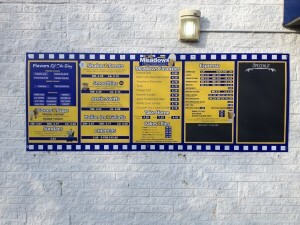 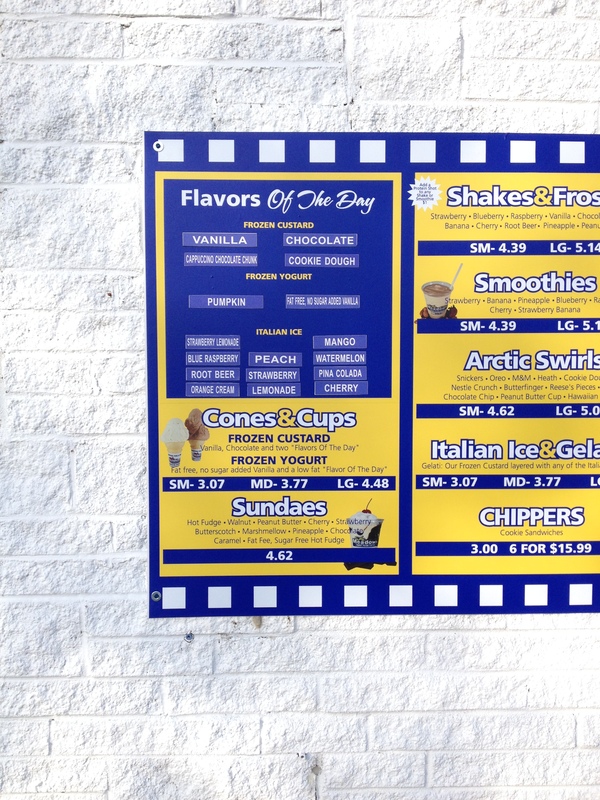 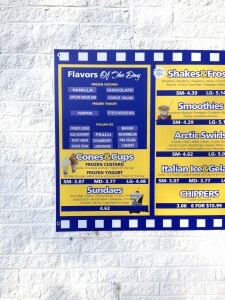 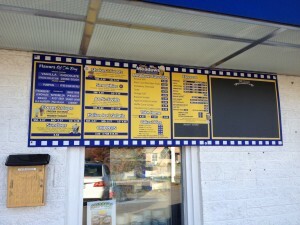 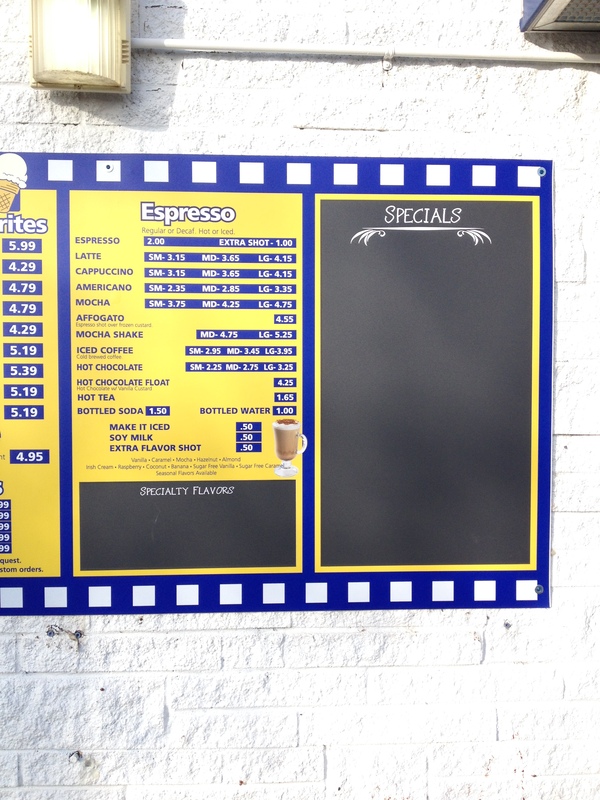 New menu boards for The Meadows Frozen Custard of Cranberry Township, PA. 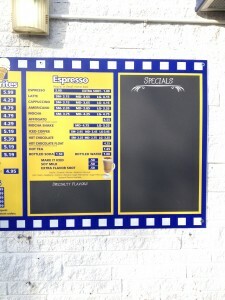 These menus feature a magnetic area for changeable flavors, a chalkboard area for handwritten daily specials, and digital vinyl graphics that will withstand the elements for years to come. 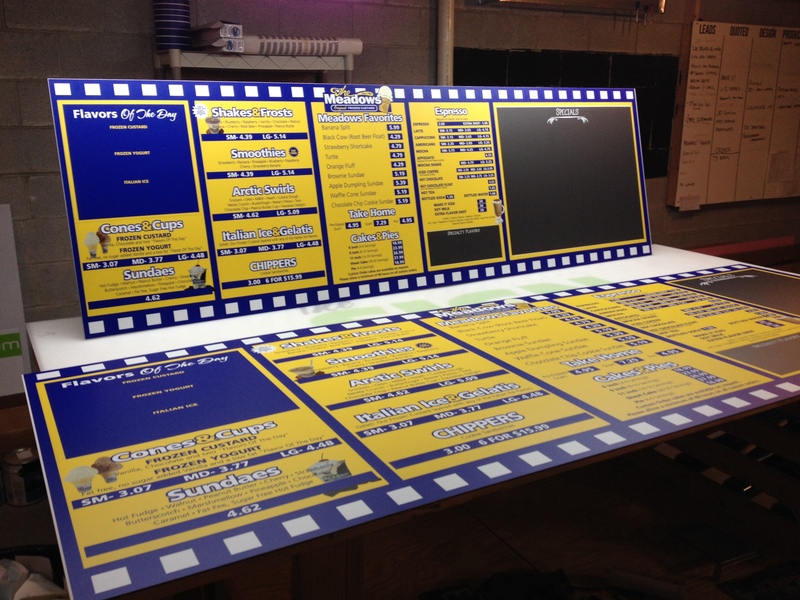 Affordable, durable, and effective! Magnetic primer applied to the substrate (ACM) before the vinyl graphic are laid down.